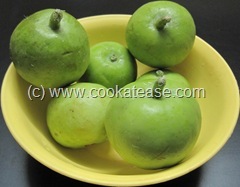 Tinda (also known as Indian Apple Gourd) looks like green apple. 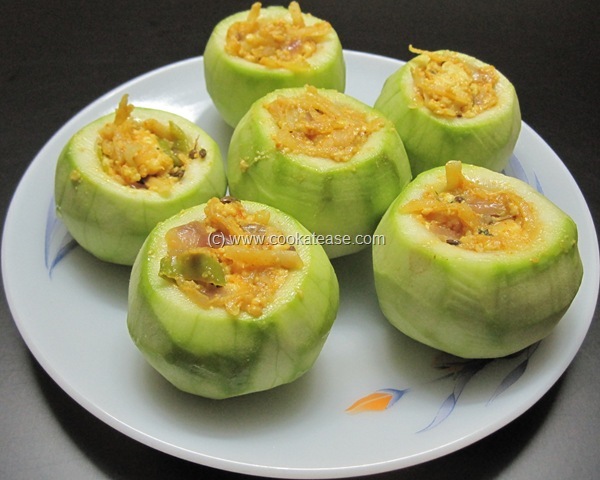 Tinda is well known in north India. 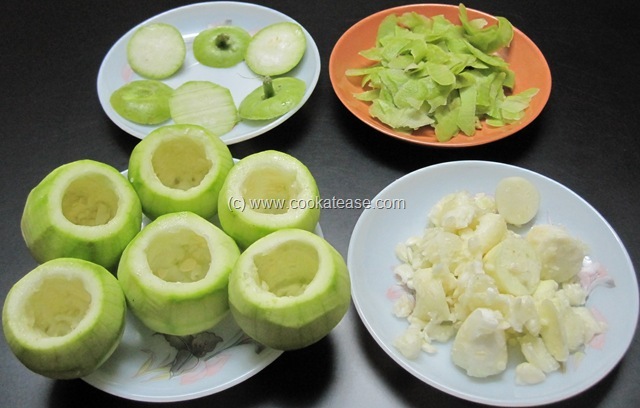 My first introduction to this vegetable was in a party. 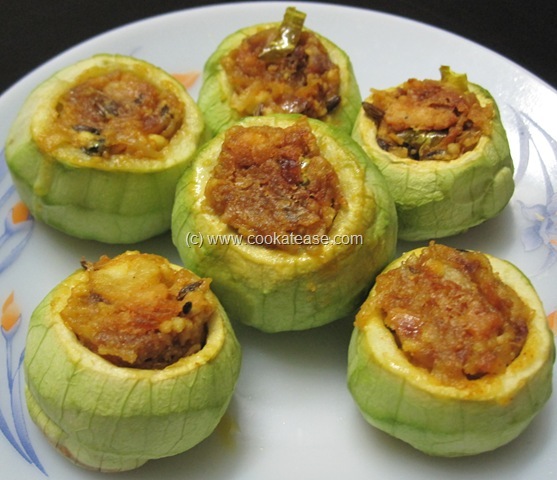 The dish tasted nice and it tastes like other gourds. 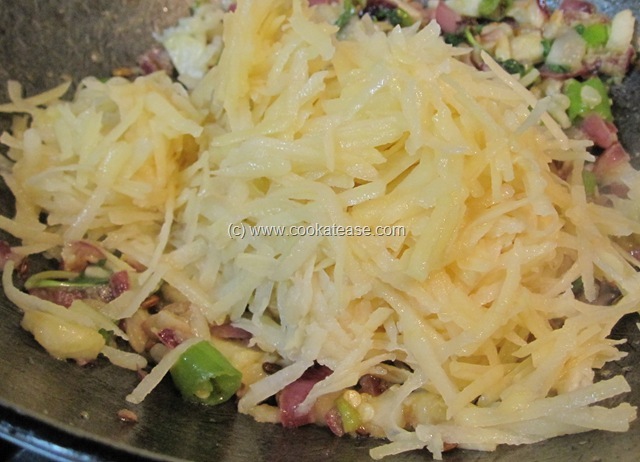 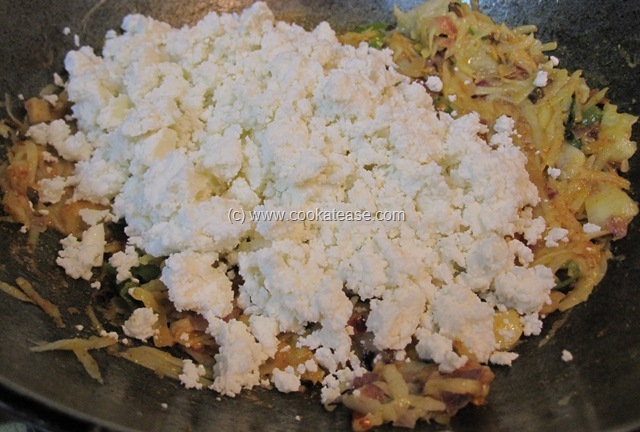 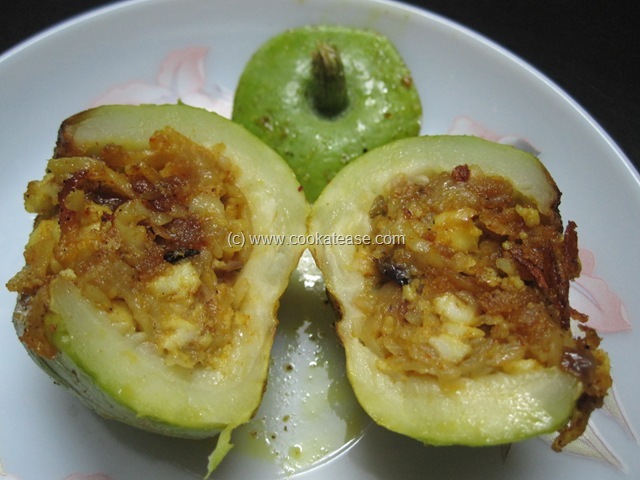 Later when I saw Tindas in the market, I was excited and wanted to try out in my kitchen. 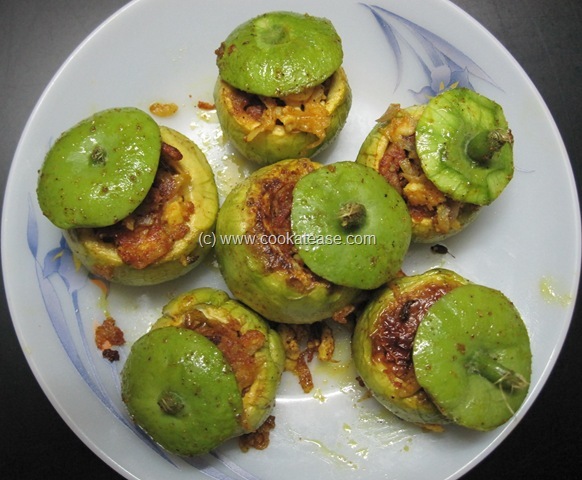 I prepared Stuffed Tinda. 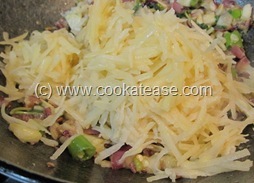 Stuffing is easy and makes it more tasty also. Preparing tinda for stuffing: Wash and slightly peel or scrub the tindas out side; cut the top and keep it for use later; remove the seeds and other tender parts from inside to use it for stuffing. 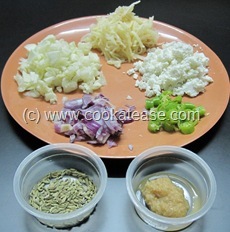 Mix little salt with 1 tea spoon lemon juice and apply inner side of the tindas; keep them for marinating for 15 to 20 minutes. 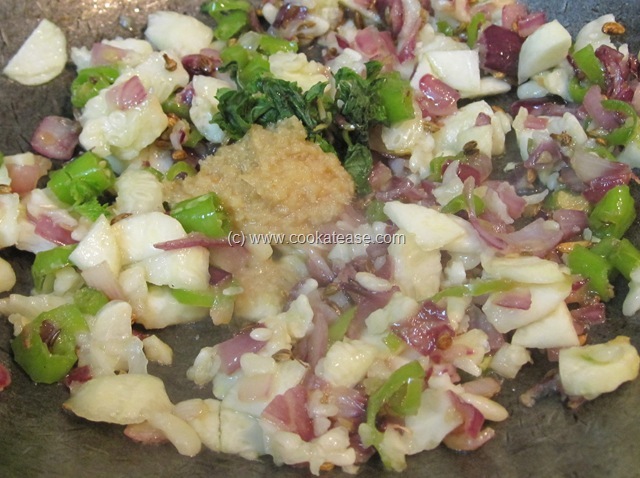 Stuffing for tinda: Grate potato, crumble the paneer and chop green chilli, onion, mint leaves; chop also tender parts of tinda that were removed. 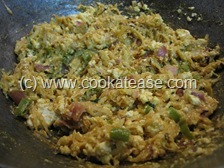 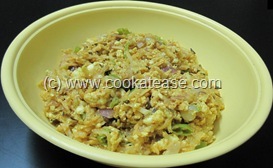 Heat a pan with 1 tea spoon of oil; add fennel seeds, onion, green chilli and fry for a while. Add chopped tender parts of tinda, ginger garlic paste, mint leaves, salt and fry for few minutes; now add potato. Add all dry spices, mix and fry for few minutes till all become soft and cooked; lastly add paneer, mix well for few seconds and remove. Stuffing and cooking of tinda: Fill the tindas with stuffing; cover it with tinda tops and cook in microwave full power for 5 minutes only (you can cook them directly in a pan if you don’t want to micro cook as explained in the next step). 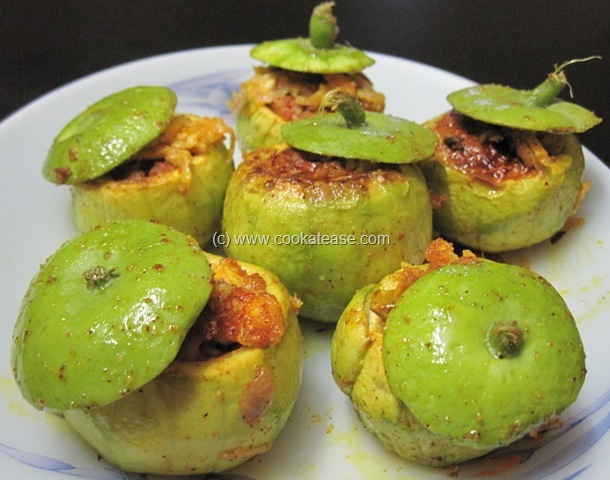 Now heat a pan with 1 tea spoon of oil; sprinkle little red chilli powder and little salt; add micro cooked tindas, cook for few minutes by turning all sides (if you don’t micro, cook frying time will increase); use a tooth pick to check tinda is soft and cooked. 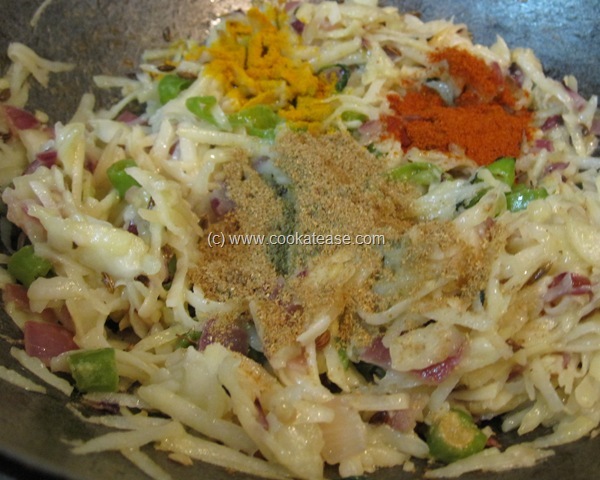 Serve hot with chappati or rice. 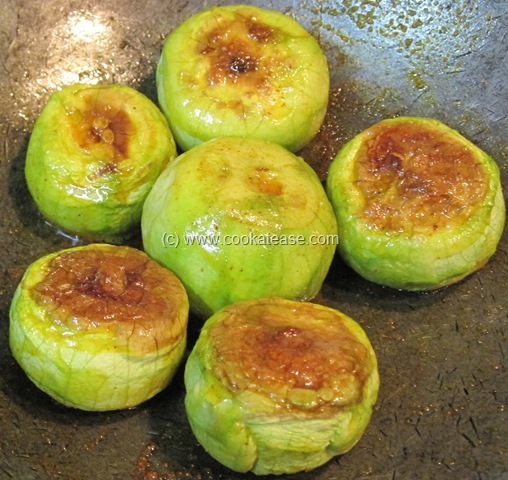 Micro cooking helps to retain green colour of tinda even after cooking. 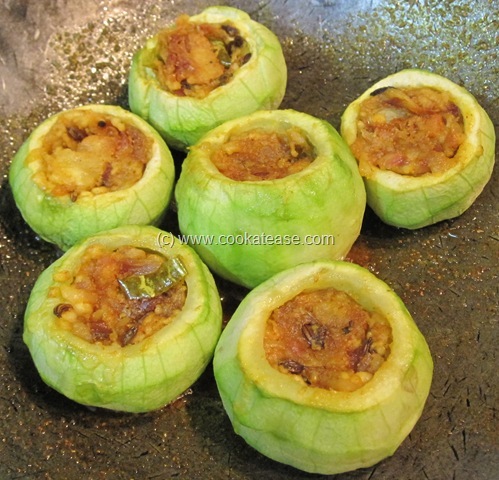 Stuffed Tinda uses fennel seeds for seasoning and is part of the event “JFI – Fennel” hosted by Siri’s Corner and created by Indira of Mahanandi. 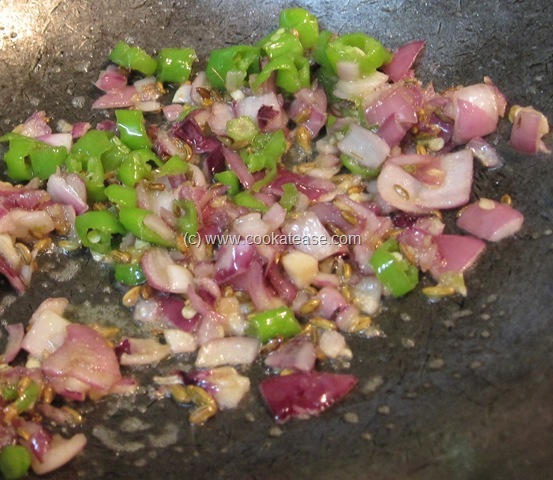 Never had this before.. bookmarked! Never heard about this apple gourd, this stuffed apple gourd looks really fantastic.. 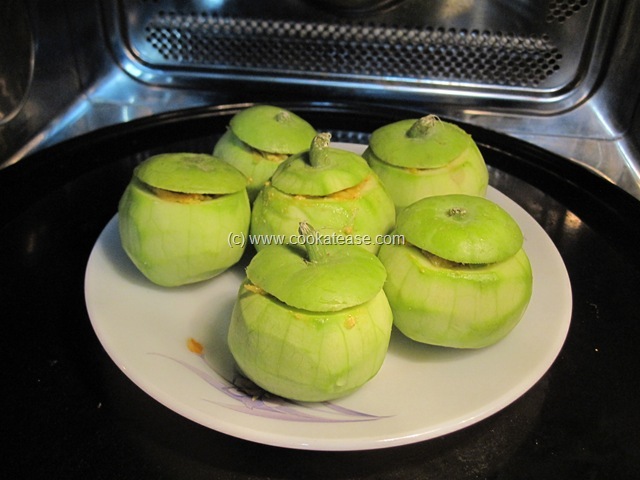 This is a new recipe to me, looks so cute like an apple. Good entry for JFI.